Are you ready for Gen Z? Can you turn Gen Yers into solid workers? Your youngest employees grew up fast. Sept. 11 happened in 2001, when the oldest of them was 6. They’ve known severe economic recession, the War on Terror and global warming. Is it any wonder they don’t believe in the American Dream? They’re between age 15 and 21 and entering the workforce. If you’ve hired Generation Z employees, or if your children were born between 1995 and 2001, you need to understand them. And what about your Generation Y workers, born between 1981 and 2000, who seem so entitled you’d like to toss them out on their ears? What do you need to know to manage them, bring out the best in them and have your payroll dollars pay off? In the workplace, Gen Zers operate differently than Gen Xers, Yers and baby boomers. Gen Zers grew up with parents from Gen X. They watched many of their Gen Y siblings return to live with their parents because they couldn’t afford to live on their own. Gen Z doesn’t want this fate. Unlike some Gen Y employees who feel entitled, Gen Z hasn’t been given everything they wanted when growing up, and they know they need to work for success. Here’s how to make them happy, with a few warnings. Gen Zers crave constant and immediate feedback. They want information now and at the touch of a keystroke. They grew up with the internet and can process massive amounts of information quickly. They prefer texting, because it’s faster than email or voicemail. According to surveys, Gen Z employees are motivated by opportunities for advancement, money and meaningful work. They don’t intend to wait years for their chance, and they view their opinions equally worthy to their managers. Good things come to _____ ___ ____. If you answered “a virtue” or “those who wait,” you clearly aren’t a Gen Y employee. If you answered “mystery” and “who go after them,” you might be Gen Yer or at least understand the Gen Y perspective. Tech-literate Gen Ys grew up with instant messaging and watched the Gulf War fought on television screens in their living rooms. Stimulus junkies, they want instant feedback, rapid results, immediate compensation and often have a stronger connection to the internet than to their supervisors. Raised in large part by television, video games and their peers, these employees want to live now because they don’t know what the future holds. Further, they’ve seen the bad guy get away with it too many times to buy into the starry-eyed innocence of “all this and more can be yours in the future if you work hard and fly right.” Thus, managers can’t easily stir their emotions with rah-rah motivational pep talks. Because they’ve witnessed a president shade the truth to get out of trouble and heard endless stories from their parents about Dilbertstyle managers, Gen Ys consider most rules negotiable and refuse to treat those in authority with fear, reverence or even respect. Gen Y employees need jobs that offer excitement as well as a paycheck and can’t abide micromanagement. Are you ready for Gen Z? Do you know how to bring out the best in Gen Y? If not, get ready. 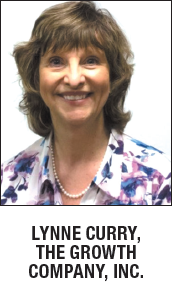 Lynne Curry, Ph.D., SPHR, author of “Beating the Workplace Bully” and “Solutions,” consults with employers and individuals to create real solutions to real workplace challenges. Her company’s services include HR On-call (a-la-carte HR), investigations, mediation, management/employee training, executive coaching, 360/employee reviews and organizational strategy services. You can reach Curry at www.thegrowthcompany.com, via her www.workplacecoachblog.com or directly at Lcurry@avitusgroup.com.